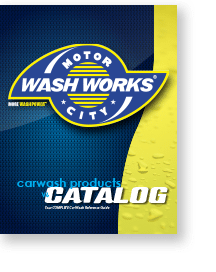 This post contains excerpts from Site Selection Road-Map to Success, a detailed investor’s guide to choosing the best location for your car wash business. Click here to download the complete guide in PDF form. 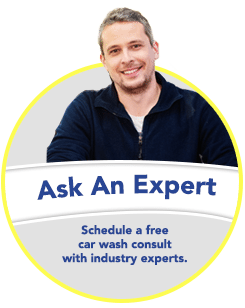 As an investor, when it comes to selecting a location for a new car wash, you should look for the best possible site you can obtain. A car wash is a location-driven service business, so it’s vital that you commit to procuring an A+ property. Here are ten critical components for selecting a car wash site. At the top of your priority checklist, review the current demographics of a one-mile, three-mile and five-mile radius of the property you’re considering. You need a steady stream of traffic to secure a customer base large enough to support your business. Other demographic factors include average household income, median income, the number of vehicles in the area and a breakdown of the population. What is the current zoning for the property you’re considering? Is it primarily commercial or will rezoning be required? It’s difficult to get a property rezoned from resident to commercial, so it’s best to find a property zoned for business use. The ideal size for a tunnel car wash is approximately one acre. You will also need a minimum of 225 feet in one direction to allow for at least a 125-foot conveyor. The best situation places the largest side of the property along the road for maximum visibility. If you plan to build an express exterior model, allow space for vacuum pads, queuing land and turning radiuses. A flex-service wash will also need room for the post-vacuum and finishing areas. If your property is out of sight, it’s out of mind. Ideally, build your car wash in front of other buildings parallel to the main street. As important as traffic counts are, they are not nearly as vital as demographics, which is why we listed it first. We have seen car washes with extremely high traffic counts not performing well because the demographics weren’t right. If traffic is going 50 miles per hour or more, drivers are usually traveling too fast to view the facility or signage. Shoot for a location with speed limits less than 45 MPH. Locating your car wash near other retail businesses provides an additional draw. When possible, harness the destination draw from big box retail stores and place your wash on one of their out-lots. Competing car washes located within a three-mile area are definite deterrents, which you should avoid. Visit all the local washes that are not service stations, convenience stores or self-service washes in the three-mile radius and assess them as a competitor. Take into consideration the cost of property, whether for purchase or lease, as part of your total investment or monthly operational expense. Site selection is no time to penny-pinch so never be cheap when choosing a property. If the location is right and projections show that it could generate high volume, it’s worth paying an extra amount. There is no substitute for obtaining a great site. These are but a few of the many factors to consider when making a site selection. Others include everything from trade barriers to local sign ordinances to environmental concerns and much more. Download the complete guide to learn everything you need to know about choosing the site that’s best for you. If you require help, Motor City is here for you. We can provide advice on finding the perfect “A” site location, whether to choose a full-service, flex or express business model and ways to generate revenue. Give us a call at 866-362-6377. Our friendly, professional staff will be glad to answer any questions you may have.